Any senior who's planning to write college essays this fall should stop and read Parke Muth's "Writing The Essay: Sound Advice from an Expert." In fact, his analogy comparing boring essays to Big Macs is so good that I actually started to resent him a teeny bit because I didn't come up with it myself. At least I'm honest. I learned about what looks to be a great resource for high school kids today, www.meritaid.com. The vast majority of merit-based scholarships come from the colleges themselves (as opposed to outside scholarships that come from companies, organizations, private donors, etc.). And this website seems to be culling that information together so that a student can search for schools and research the scholarships that are available. You can even create a profile that will generate a list of colleges with potential merit aid that match your profile. I would still argue that visiting the schools' individual websites is the only way to be sure you know about all of the scholarships they offer, but you could use this site as a way to narrow down your search. Thanks to Mary Beth Kravets, a high school counselor and author of this fantastic college guide for students with learning disabilities, for sharing this. I don't know who wrote it (the evaluations are anonymous), but I like that parent already. This was probably a fun person, someone who knows how to enjoy him or herself, someone with a spirited personality. I have no way of knowing if my assumptions are accurate, but you can tell a lot from an answer like that. College applications are the same way. A lot of kids are so wrapped up in trying to sound impressive that they won't be playful even when the college is begging you to play. A question about why you want to attend this college requires a thoughtful answer. A question about your favorite food or what book you would bring to a desert island or what one person, living or dead, you would like to have dinner with is begging you to be yourself and have fun. Your answer doesn't necessarily have to be funny, but it should be true and revealing. There are no right or wrong answers–just use the opportunity to help the college get to know you a little better. So admit that you eat more Oreos than could possibly be healthy. Tell them there's no way you'd go the rest of your life on an island without Harry Potter. Come right out and admit that you'd want to have dinner with the lead singer from Coldplay so you could ask him to please stop writing songs. A college will never come out and ask you to describe your personality. But they'll be looking for it in your answers. So make it easy for them to find it. I did a financial aid seminar for families last weekend and as I revealed to them, I first learned a lot of the information I shared from "Paying for College Without Going Broke." It helped me make sense of the financial aid process, and I was an English and history major in college who has never once successfully balanced my checkbook. The 2010 version releases today, and I've already ordered my copy. As with all previous versions of the book, the author describes exactly how the process of applying for financial aid works, with tips and strategies to increase aid and reduce costs. But the description of the 2010 edition says that it has also been updated to reflect all of the current economic uncertainty, it will include the latest financial aid forms with guidelines to help you complete them, and it will explain recent changes to the tax laws and how they impact financial aid. 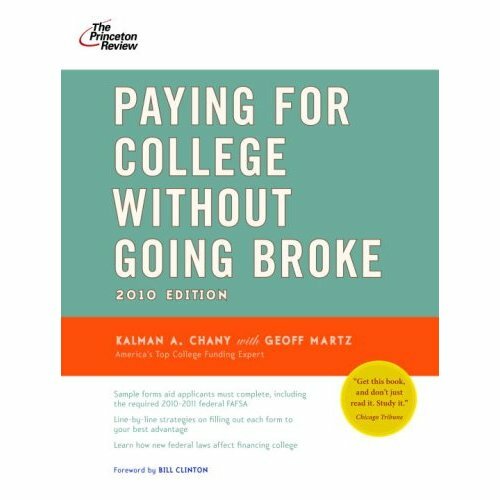 Whether you're the parent of a senior who needs to apply for financial aid right now, or the parent of a freshman who wants tips on the best ways to save for college, I'd order a copy. Seth Godin, a business book author whose blog I read, published this post comparing the business world to high school. Here's an excerpt I thought kids should see. It doesn't sound like a very fun high school world to live in. If what he describes here resembles your current high school experience, remember that you don't have to play that game. You can be the exception, not the rule. You can reject that vision of high school and create one of your own. What if you were a high school kid who went against that description? What if you made the conscious decision to be nice to everyone, not to worry about what other people think, to be yourself, to be confident, to reject the idea of popular vs. unpopular, to be proud of who you are and what you stand for, to do what you want rather than what other people say is cool, to make it more important that you be yourself than it is to be liked? I'm not saying it's easy. But some kids are doing it. They're happier, more fulfilled and more confident, and they'll probably get accepted to lots of colleges. If you are one of these kids, good job. And if you'd like to be one, start today. It's got to be easier than the alternative. You can find one at www.fineaid.org. If you're a senior or a parent of a senior, pay special attention to the section "Financial Aid Applications" where they demystify the paperwork. but I promise you the Nittany Lion fans will be out there in full force, as will their legendary coach, 83 year-old Joe "JoePa" Paterno. And the Red River Rivalry taking place between Oklahoma and Texas today has always among most bitter rivalries in college football. don't give a damn for the whoooole state of Michigan, whoooole state of Michigan….we're from O-hi-oooo!"). ranked on the arguably more controversial US News college rankings. quality. So don't rely on an arbitrary ranking to pick your school. experience and to seek out those schools that meet or exceed your rankings. The National Association for College Admissions Consulting just completed a survey that confirms that 90% of colleges have reported an increase in financial aid applications. That's not surprising given the downturn in the economy. And with every piece of bad news about increasing levels of competition and decreasing availability of financial aid, a lot of students are going to respond by firing off even more college applications. It's hard not to panic during the throes of senior season, especially this year. But there's an opportunity for the thoughtful and deliberative student to stand out here. Now more than ever, colleges don't just want applicants–they want applicants who are good matches for the school and are most likely to accept an offer of admission. If you're applying to a school just because of the name, or just because your friends are applying, or just because you want to apply to as many colleges as possible to keep your options open, it's going to be hard for you to communicate your match to that school. You're not going to appear to be someone who's likely to accept that offer of admission. And that can hurt your chances of getting in. The best way to approach this is to slow down, to select your colleges thoughtfully, and to apply deliberately. Get good advice about your college list. It's OK to apply to a few reach schools, but make sure you apply to a reasonable number of schools that your high school counselor thinks are likely to admit you, schools that you also sincerely want to go to. Consider applying to one financial safety school where you're sure you can get in, you're sure you'd want to attend, and your family is sure they could pay for even if you got no financial aid. Students who do show some evidence of thoughtful college soul searching are always appealing to admissions officers, which can make you more appealing to the financial aid office, too. Last night, we held our third and final Senior Parent Back to School Night at Collegewise. In total, nearly 70 parents joined us over the span of those three nights to hear the updates on our work with their kids, to spend a little time with their Collegewise counselors, and to make sure they were informed participants on their student's journey to college. Sure the Italian food probably helped lure them. The fact that we promised them wine probably help lure them a lot. But mostly, this was a group of parents who showed up because it was all about supporting the kids. For these parents, it didn't matter that they were tired or that this was their third school or college-related event this week or that they were passing up time at home. They gave up time to come to an evening of college information because they wanted to participate in their kids' college admissions process in a constructive way. A lot of parents struggle to find the right ways to help their college applicants. It's a difficult balancing act trying to let kids find their own way, yet also making sure you help enough without unintentionally taking over the process for them. But the most important thing a parent can do for their college applicant is to show up. If the high school puts on a college information night, show up. If there's a college fair in your city, show up. When it's time to plan college visits, when your kids need a little cheerleading to boost their spirits, when they need to be reminded that they're still a good person even though their SAT scores didn't raise as much as they'd hoped, just show up. You don't necessarily have to handle the situation perfectly every time (as that's just not a reasonable expectation). But just showing up is half the college admissions battle. I did an essay workshop at a local high school today, at the end of which, a senior approached me a question. He was debating between two stories to write in his essays and wasn't sure which one was the best choice, so I asked him to describe both to me. The first story was about being a troop leader in Boy Scouts, how at first the younger kids didn't respect him, he had to earn their trust, it taught him about how to be a leader, etc. etc. He didn't even seem to enjoy describing the story, so I couldn't imagine that he would enjoy writing it. The second story was about the time he and his friends entered a talent show competition in which they reenacted a 1990s boy band act. Apparently, they spent hours watching videos to learn the dance moves, recreating the costumes, and perfecting their four-part harmony. Even as he described it, he was animated, and his personality was coming out just telling the story. Neither of those topics is inherently good or bad. And whichever one he chooses, he'll need to tell an effective story that helps readers get to know more about him. 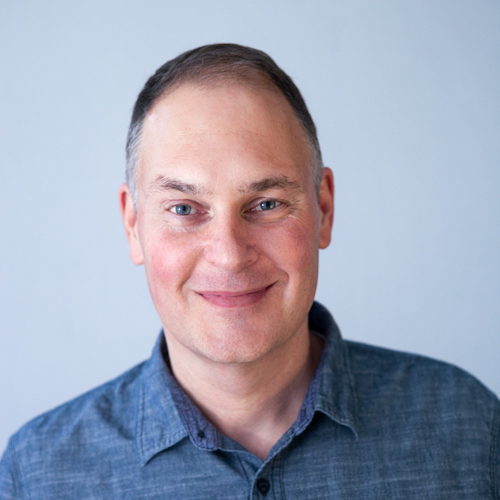 But I can tell you this–every year, thousands and thousands of college applicants write stories about leadership, perseverance, commitment, and other supposed "valuable life lessons" that they learned Most of those kids didn't actually think those deep, reflective thoughts during and after those experiences. And most aren't excited about those stories; they're just relating what they think the admissions office wants to hear. Do you have any idea how many, "My trip to Europe broadened my horizons" and "Community service taught me the importance of helping others" admissions officers have to read every year? The best college essays are about topics that make the writer tick, that give a glimpse into some part of your life (sometimes a big part, sometimes a small part). Those essays almost write themselves because you are so engaged in the story. It doesn't matter whether it's about a life-threatening illness or working a part-time job at a hamburger stand. It's the energy behind the topic that's contagious and can move an admissions officer. This student was excited about his boy band story. So I told him to go with it. When in doubt, write what you want to write. Inject your personality. Write something that if your best friend read it, she would acknowledge that it sounds exactly like you. It takes guts to write what you want to write, but that's a lot less risky than giving them what you think they want to hear.